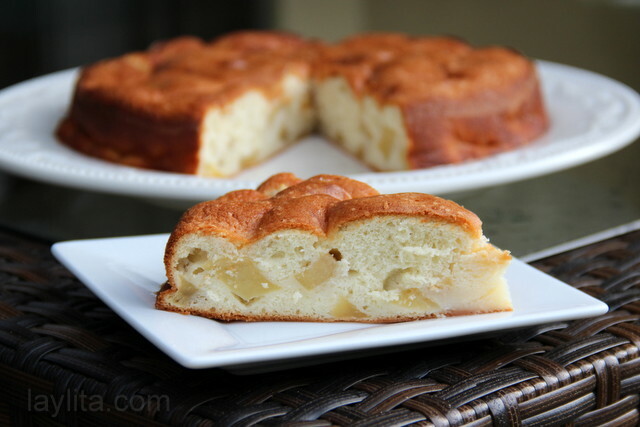 This delicious and easy to make French apple cake recipe is made with only four simple ingredients: apples, sugar, flour and eggs. 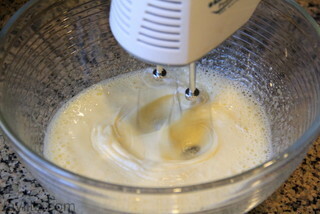 I’ve mentioned before that I prefer desserts that are easy and simple to make. Whenever I have friends over for dinner, I usually get caught up in making several different courses and tend to run out of time for dessert. I’ve learned to delegate dessert to Nicolas, who likes to keep it simple. 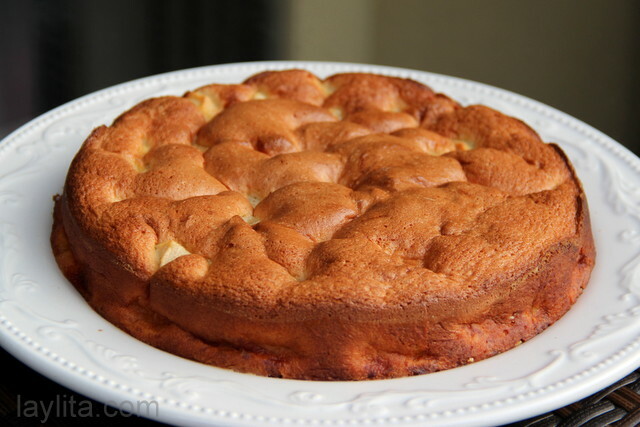 He loves making this apple cake and considers it an example of a delicious dessert can be simple to make. 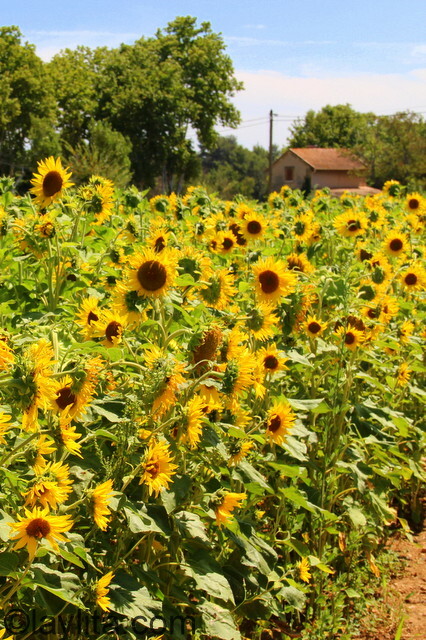 Last summer we were lucky enough to spend some time in the south of France. We stayed with Nico’s aunt Lilou, who happens to be an amazing cook and spoiled us with some of the best meals ever. 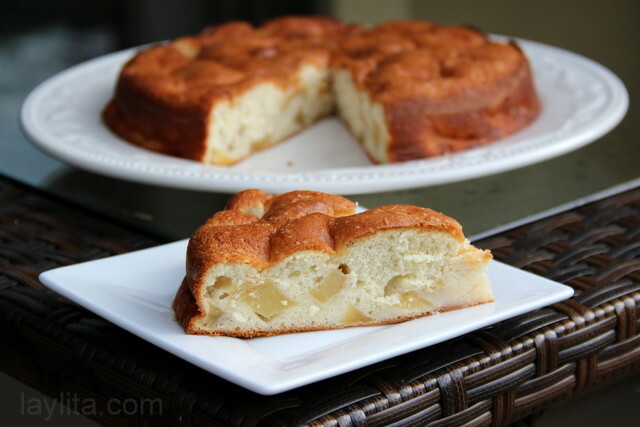 One of her desserts was this apple cake, it was so good, I had to ask her to share the recipe. 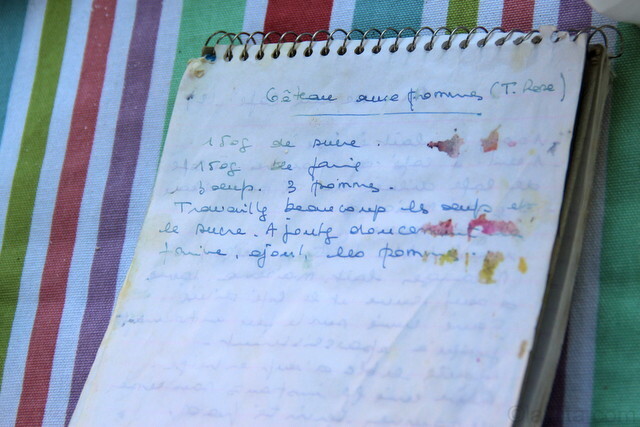 Nico was in charge of taking notes for Lilou’s recipes and he also prepares this cake most of the time when we make it at home. 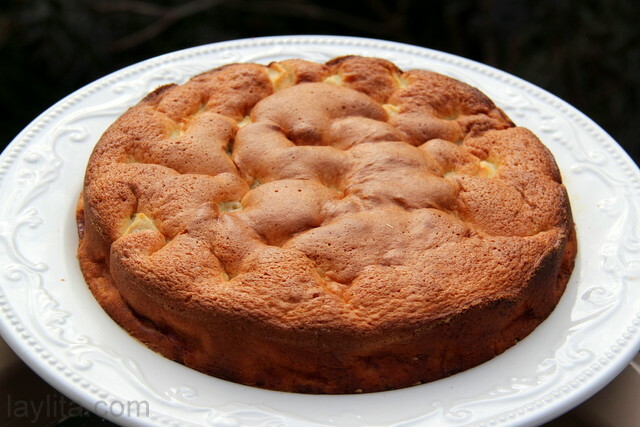 Delicious and easy to make French apple cake recipe made with only 4 simple ingredients: apples, sugar, flour and eggs. 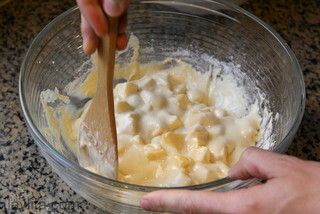 Mix in the apple chunks, pour the cake batter into a buttered and floured cake mold - we used a round 9 inch cake pan. Bake for 5 minutes at 400F, then lower to 360F (or 350F is your oven doesn't have a 360F option) degrees and bake for the approximately 30 minutes or until it turns golden. To test if the cake is done insert a toothpick into the middle, if it comes out clean, then the cake is done. 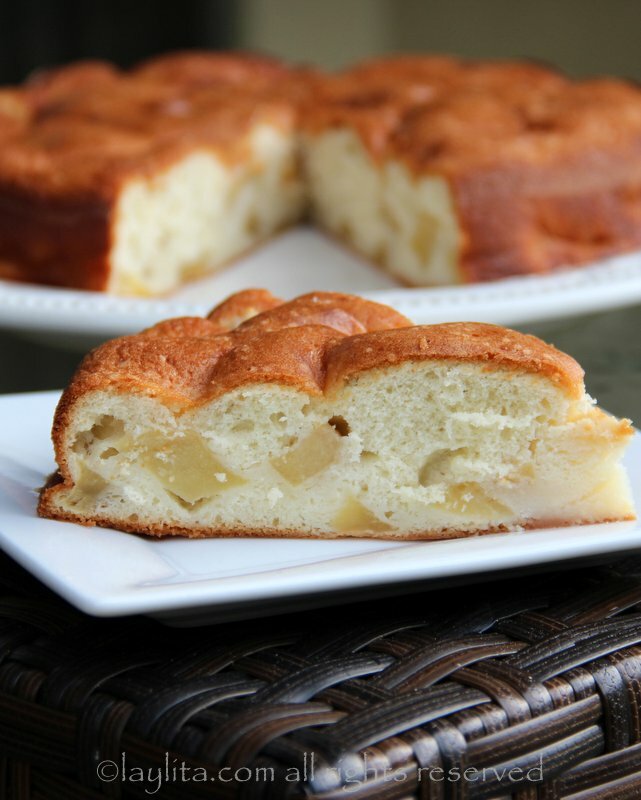 This delicious apple cake is one of the easiest cakes you will ever make. I was actually somewhat scared the first time I saw Nico make it. I was sure he had missed some ingredients, how can you make a cake without baking powder or butter or milk? But, it worked and the cake turned out just like Lilou’s. 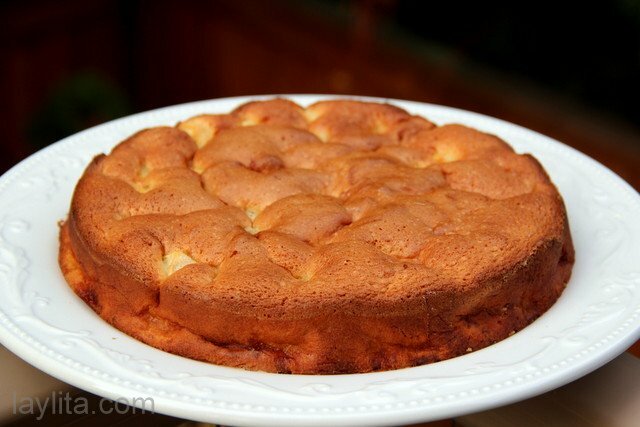 This apple cake can be served warm or cold; it can be served as is or accompanied by ice-cream. You can also serve it for dessert or have a slice with cup of afternoon coffee. This cake can also be made with a variety of other fruits: strawberries, blueberries, pears, pineapple, peach, etc – the only adjustment is that based on the amount of moisture in the fruit, you might need to bake it for slightly longer (or less). I added cinnamon and nutmeg! Absolutely delicious. What a delicious recipe! I tried it your way with pink lady apples but also made a second cake with pears and just a drop of lavender essential oil. 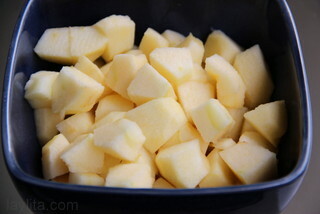 Wonderful recipe- simple and delicious! I absolutely LOVE this recipe. It is my go to when I need an impressive dessert and I’m short on time. Or crave something sweet but not too sweet. (I also use this as a breakfast food). My favorite version is with strawberries. Apples are good. I’ve tried pineapple but had to cook it for about an hour- that was good but not as great as strawberries. Thus try not to use a juicy fruit. For the Americans here- the flour is about 1 1/3 cups and sugar about 2/3. 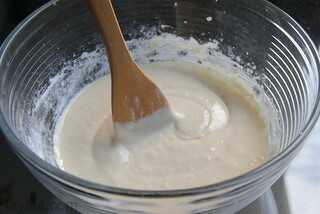 It comes out kind of thick as batter. Like a watery bread dough. Don’t worry. The cake is so lite and spongy. There really isn’t another cake like it. Perfect with tea or coffee for a light snack or creme fraiche or ice cream as dessert. But better yet it’s amazing by itself. I appreciate you sharing this recipe. silly question probably .. but i dont cook much cakes from scratch .. so when you say flour is that plain flour or self raising ? Looks delicious, I’m a little skeptical but I can’t wait to try it. On the rare occasions that I make dessert, I serve it with coffee about an hour after dinner. 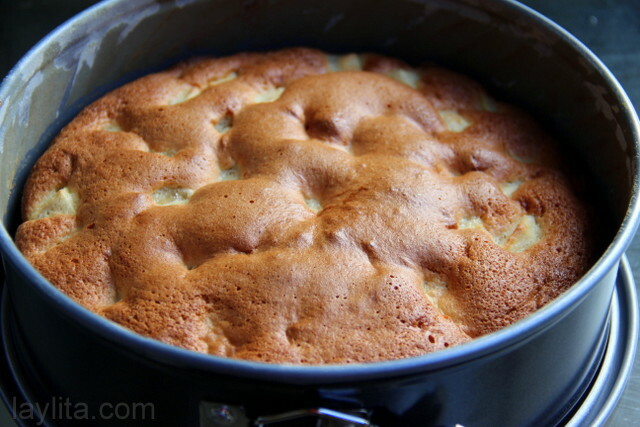 I made your apple cake today and no sooner than my husband finished his last bit of dinner he grabbed a knife and headed over to the cake. He loved it! We all did. I made it just as your recipe says. Why change perfection. It is going to be a regular at our house. I’ve also pinned it on Pinterest and posted it on Facebook. When I find something this easy and this perfect I’ve just got to share. Thanks! I’ll be checking out your other recipes too. 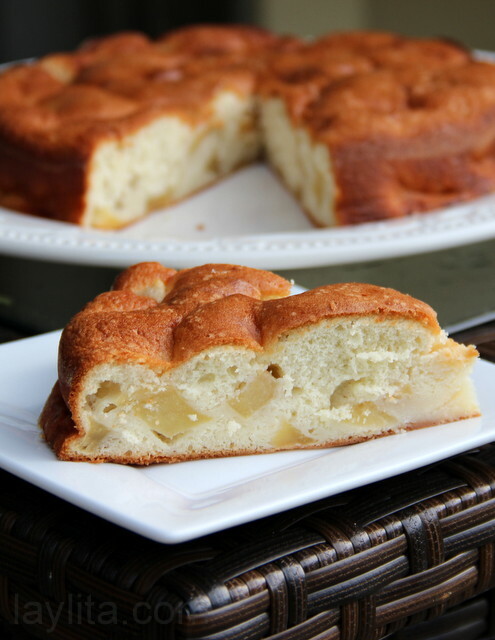 Hi, I want to bake this apple cake, it looks amazing. What baking pan size did you use? 8″ or 9″? I made it and it is the best! Thank you!! I am such a terrible cook and baker that your recipe intrigued me. 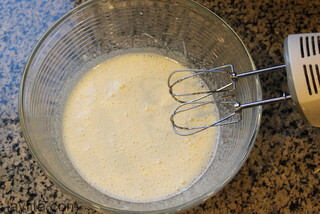 I tried it today subbing pancake mix for flour and using 3 types of sweetener (truvia, cane sugar, and brown sugar). Amazingly not even that and overbaking ruined this cake! I would NOT recommend my changes to the reciple though, lol. 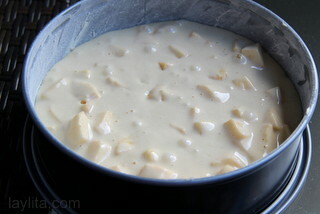 I am going to y this again when I have all the proper ingredients. Thanks! I made this and it was absolutely delicious! Thanks for the recipe. I’ll try with strawberries next time. Do you suggest a certain brand of apples? 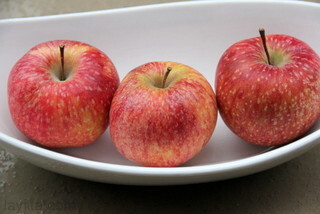 Any type of apple should be fine, I usually prefer Pink Lady or Gala variety. This looks delightful and I have pinned it to try later! The Charlotte cake I know is very different than this one (made with ladyfingers). Is there a different Russian version? This recipe looks delicious, but one question, I don’t have a scale. How many cups are 6ounces of flour and sugar equal to? 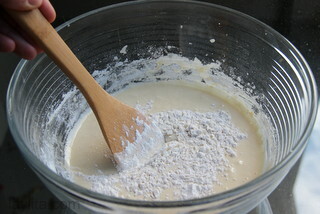 6 oz sugar is about 3/4 cup and 6 oz flour is about 1 1/3 cups. Laylita, I made this apple cake today and it was DELICIOUS! Thanks a lot for all your wonderful recipes. Please, don’t stop sharing them with us! Does Aunt Lilou have more recipes to share? This cake was absolutely wonderful and so simple! Just made the cake this morning and it is absolutely delicious! Even better that it needs only 4 ingredients! Is it easy to substitute another fruit? I look forward to trying out your other recipes! This recipe perfectly conveys how beautiful and delicious simplicity can be. 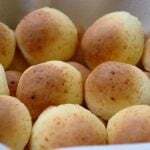 Creo que es la primera vez que escribo pero desde hace mucho sigo tu blog porque me encanta :D Esta receta es ideal sin mantequilla (me viene de perlas) pero yo te quiero preguntar cuantos gramos son una barrita de mantequilla? quiero hacer tus empanadas!!! Saludos desde suiza! Hola Carmen – Una barrita de mantequilla es igual a 113 gramos (o 4 oz o 1/2 taza). This was by for the easiest homemade desert I have ever made and it was DELICIOUS!! I sprinkled mine with some powdered sugar for a little added sweetness. 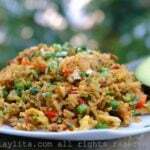 I am going to make it again this weekend along with Chaufalan de pollo for friends and family. Thanks so much for this fabulous website! Do you need to make any adjustments for altitude? I’m assuming not, since there is no leavening. I’m at about 4,500 feet, but I’m guessing you have tried this in the Sierra and it turned out fine? Hi Kevin – You should be fine, though if you have any issues try increasing the oven temp by 25 F degrees. Tried this recipe immediately after reading it. The cake turned out delicious and I enjoyed it with a cup of afternoon coffee. Thank you for sharing this recipe and several others that I have tried. So far, your recipes have been right on! It’s great to know there is a reliable website for delicious recipes–from all over the world. i am sooo making this today. it looks delicious! (besides simple) and i have all the ingredients, 1 didn’t have to the store at all! ¡Me gusta! Y no sabes cuanto. Adoro las tartas de manzana abizcochadas así que me anoto la receta. Love that cake. I made one like that a few months ago and I was also surprised by its short ingredients list. 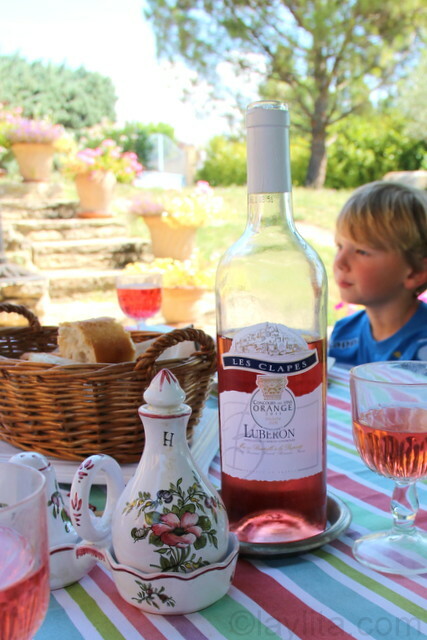 Hola Heidi – His parents live in Aix and his aunt lives in the Vaucluse region. 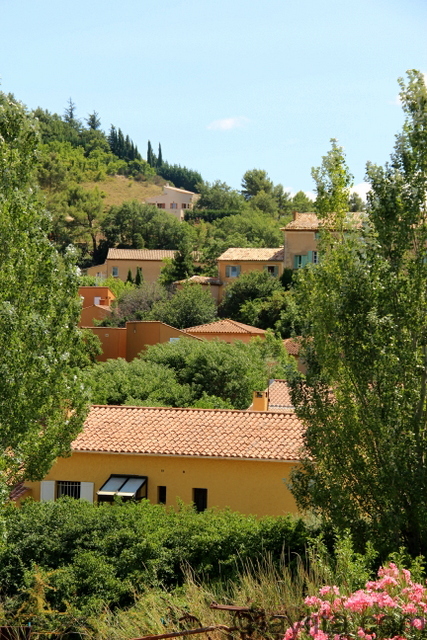 Completely agree on the home part, there’s something about the south of France that makes me feel like I’m home. I love traveling, but Seattle, Ecuador and Provence are the places that really have that home feeling for me.